Good evening. Tonight's occasion is a much awaited appointment on my calendar. 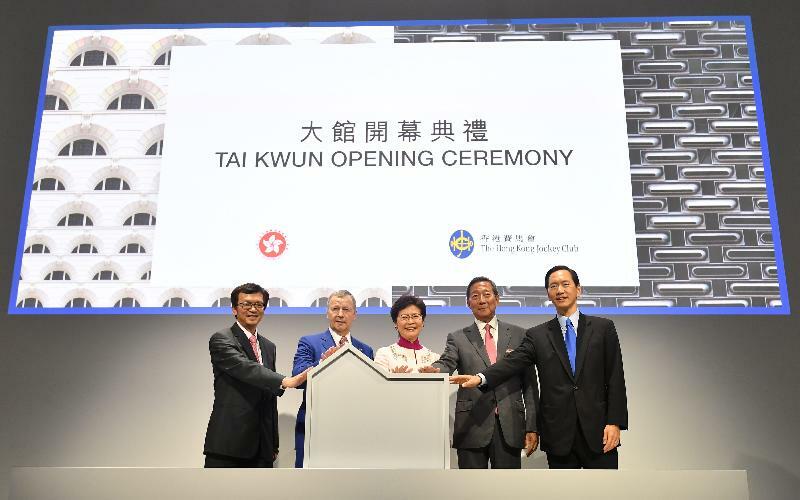 Indeed, the opening of the Central Police Station Compound – now named "Tai Kwun – Centre for Heritage and Arts" is much anticipated by many people in Hong Kong. Standing here tonight, I am overwhelmed with joy, relief and pride. 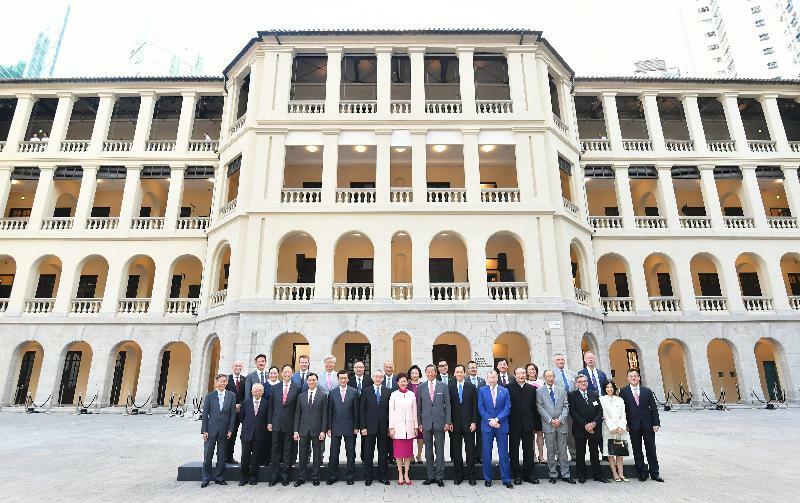 The conservation of the Central Police Station Compound was conceived and presented as a gift from the Hong Kong Jockey Club to the people of Hong Kong in celebration of the 10th anniversary of the establishment of the Hong Kong Special Administrative Region. After more than a decade of dedication, patience and perseverance on the part of the Club and the many experts and workers involved, the people can now rejoice at the grandeur of the gift they have received. 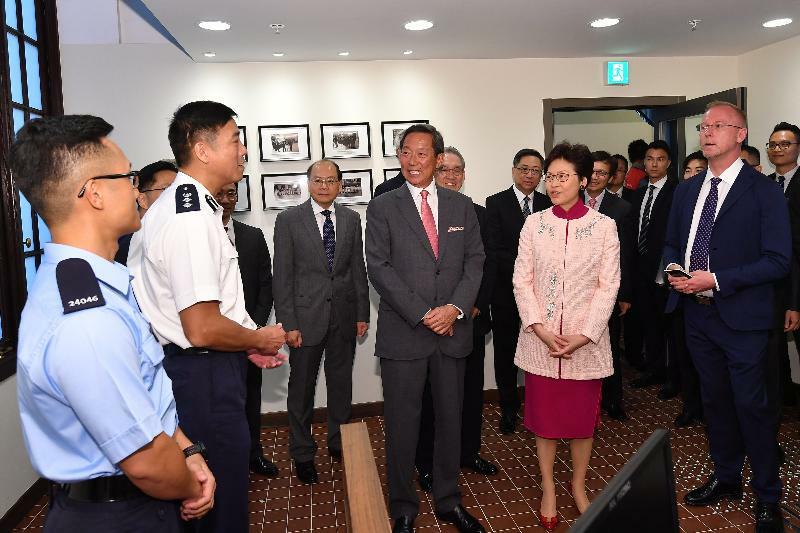 The project has brought the Central Police Station Compound, which has long been a critical piece of our heritage, to revitalised and re-imagined life. The effect is much better than one could have imagined. This gift is certainly worth the wait. 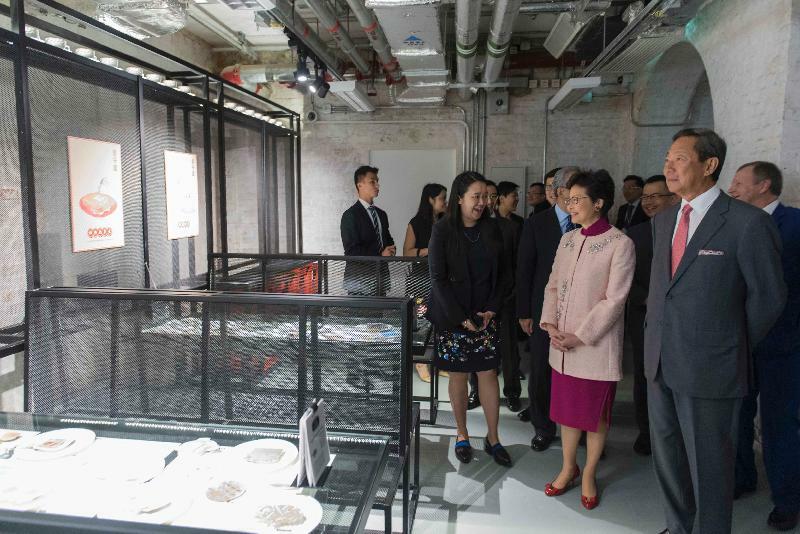 As the advocate for many of Hong Kong's heritage conservation projects in my then capacity as Secretary for Development, there is always a personal attachment and obligation on my part that makes me worried about the satisfactory completion of each and every of these projects. 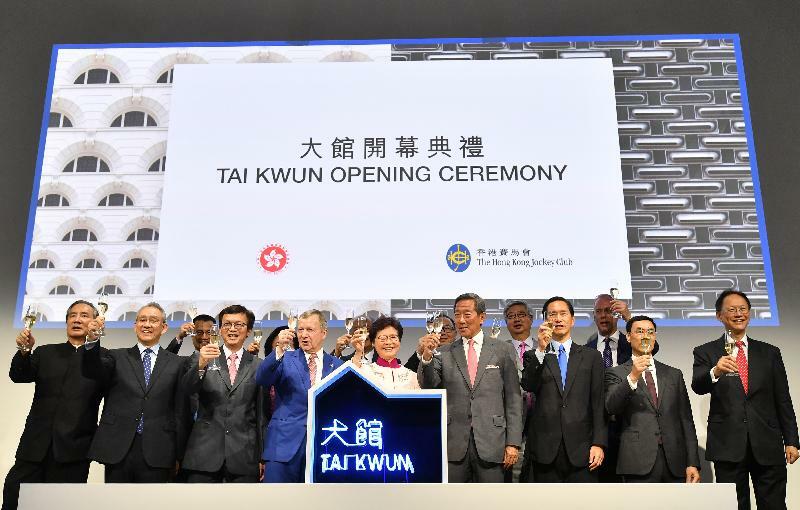 Tai Kwun is a particularly sensitive project given the scale, its location, public expectations, the cost, the compatibility of the two additional structures with the old buildings, etc. It is therefore for me a big relief to see all these factors being taken care of so well, thanks to the work of design architect Herzog & de Meuron, represented by Ascan Mergenthaler here, the conservation expert Michael Morrison, the executive architect Rocco Yim, the Project Director Mike Moir and most importantly, the generosity of the Hong Kong Jockey Club in committing to a heftier investment of $3.8 billion, well exceeding the original $1.8 billion when I announced this project in October 2007. I hope nobody will label this as a cost overrun! 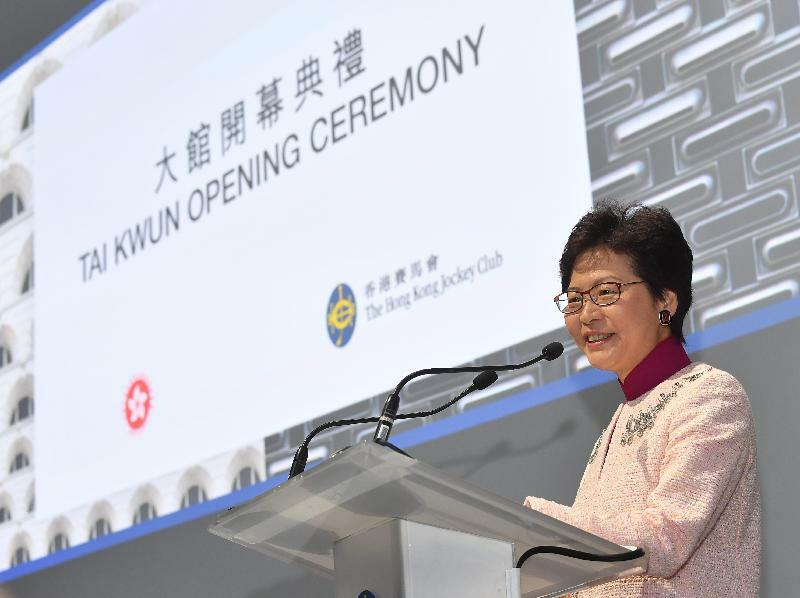 From today onwards, Tai Kwun will become a much valued cultural precinct in Hong Kong, a hang-out area for the young and the artistic, a place for people of all ages to be reminded of Hong Kong's past, and a "must-see" for tourists. 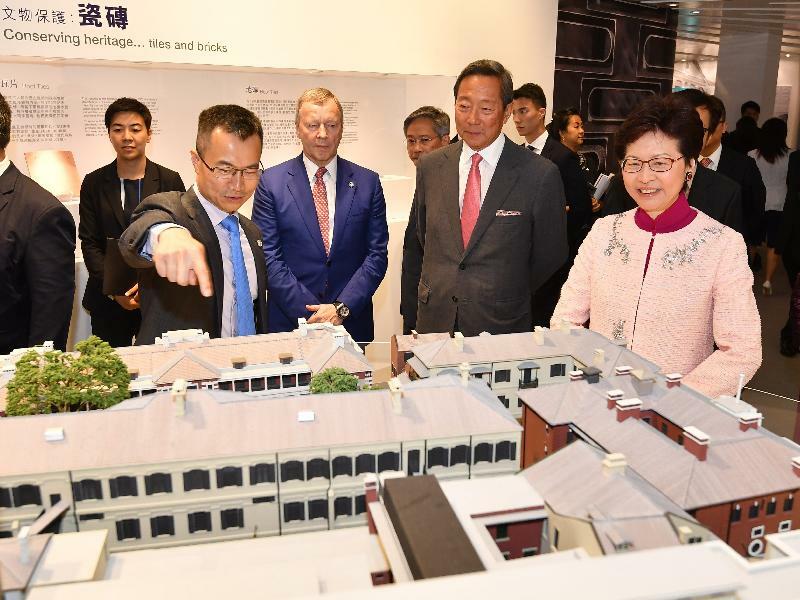 It will be a shining example of Hong Kong's heritage conservation work and a landmark of "Conserving Central" – a major initiative announced in 2009 aiming at taking Central, Hong Kong's century-old CBD to even grander and newer heights. Our descendants will be proud of the legacy we have left. While this good evening is a culmination in a decade of determined efforts by the Jockey Club, what should not go unnoticed is the value that the Club has attached to public engagement throughout the process. The Club has fully embraced the views expressed by the public and the neighbours in revising the design of the two newly added structures, in preserving as well F Hall which is actually not a graded historic building, in enhancing connectivity through a very functional and interesting elevated walkway, in actively working with the arts and cultural sector on the software of the project. I have worked with four successive chairmen of the Hong Kong Jockey Club in this project over the past decade and let me thank them one by one. To Ron, who is both a mentor and a great friend, I thank him for his vision and courage in taking on this mega project which I am sure he knew at the time that it would be costly, time-consuming and complicated. To John, in his former incarnation as an Administrative Officer like myself, I thank him for his wise counsel and humility in responding to public views and knocking down Herzog & de Meuron's design from 200 metres to 80 metres. To Brian, a distinguished accountant, for his professional prudence in managing the project and only mildly complaining about the escalated cost and to Simon, for his calmness and stature in regaining public trust after the partial collapse of Block 4 in 2016 and in overseeing the most difficult part of commissioning this grand project. Finally, it would be remiss of me not to express my deepest admiration and thanks to Winfried, the Club's CEO, who has been an anchoring force throughout a protracted journey. I wish you all a very enjoyable evening.